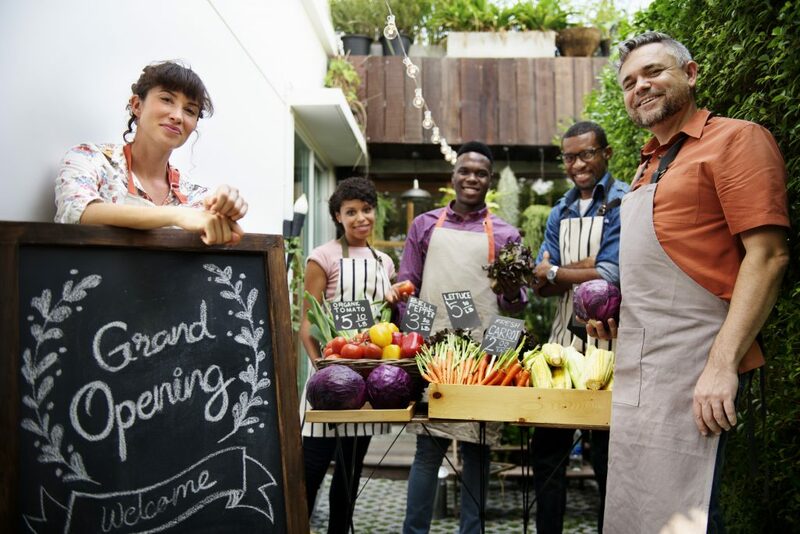 National Small Business Week, which runs from April 29 to May 5, highlights the hard work of the United States’ business owners, entrepreneurs, and innovators. America’s small businesses—nearly 30 million in total—employ almost half of all U.S. workers. In order to fully celebrate the contributions of businesses both large and small, we must also recognize the vital impact immigrants have on the U.S. business sector. Immigrants founded 18 percent of all small businesses, as well as 20 percent of businesses nationwide. A new study from the National Bureau of Economic Research on immigrant entrepreneurship in the United States quantifies the extent to which immigrant-founded businesses add value to the economy of the nation as a whole, as well as the economies of the largest states. Immigrants create about 25 percent of new businesses in the nation (those five years old or less), while the immigrant share exceeds 40 percent of new firms in California, New York, New Jersey, and Florida. Overall, nearly one-in-five businesses nationwide are owned by immigrants, although this share rises to roughly one-third in California and the District of Columbia, and more than a quarter in New York, New Jersey, and Florida. Perhaps the most well-known examples of immigrant entrepreneurs in the country is Silicon Valley, California, where more than half of all firm founders are immigrants. The jobs and innovations created by these businesses benefit native-born Americans, as well as other immigrants. Moreover, immigrant-founded firms have a higher survival rate than comparable native-born businesses. Immigrants also are more likely to finance their business from sources close to home—personal savings, loans from family members, and home equity loans—as oppose to native-born business owners, who have greater access to bank loans and credit. About half of all new immigrant-owned businesses are in accommodation and food services, retail trade, or professional and technical services—reflecting founders with a wide range of skills and educational levels. Other studies shed even more light on the economic importance of immigrant entrepreneurs. For instance, 3.3 million immigrant business owners accounted for 20.3 percent of all self-employed U.S. residents in 2015 and generated $72.3 billion in business income. In 2015, immigrants accounted for 21.9 percent of all business owners in 50 of the largest U.S. metropolitan areas. Immigrant-led households across the United States contributed a total of $223.6 billion in federal taxes and $104.6 billion in combined state and local taxes in 2014. And residents of immigrant-led households had $926.9 billion in collective spending power (after-tax income) in 2014. The key point to keep in mind—both during Small Business Week and the entire year—is that immigrants contribute in multiple ways to the U.S. economy, which in turns fuels the prosperity of all Americans.